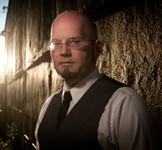 Andrew P. Mayer has spent sixteen years involved with every facet of game design and production and has been a creative force behind numerous best-selling titles. As a writer, Mr. Mayer has completed numerous short stories and co-wrote the script for THE LEGEND OF ZORRO, which was released for the Wii. He currently works as a consultant in social games and virtual goods, focused on working with game publishers and developers to help them create successful, original social game titles and integrate effective development, monetization, and community strategies. Learn more at Andrew Mayer’s blog. CLICK HERE FOR MORE BY ANDREW P. MAYER. 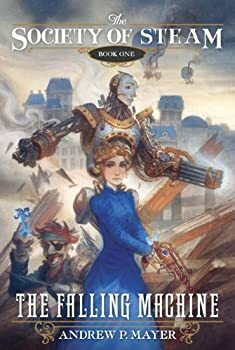 The Society of Steam — (2011-2013) Publisher: In 1880 women aren’t allowed to vote, much less dress up in a costume and fight crime… But twenty-year-old socialite Sarah Stanton still dreams of becoming a hero. 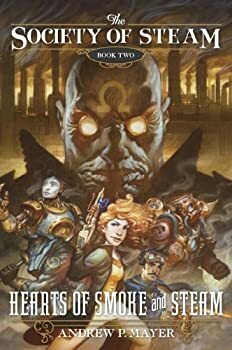 Her opportunity arrives in tragedy when the leader of the Society of Paragons, New York’s greatest team of gentlemen adventurers, is murdered right before her eyes. To uncover the truth behind the assassination, Sarah joins forces with the amazing mechanical man known as The Automaton. Together they unmask a conspiracy at the heart of the Paragons that reveals the world of heroes and high-society is built on a crumbling foundation of greed and lies. When Sarah comes face to face with the megalomaniacal villain behind the murder, she must discover if she has the courage to sacrifice her life of privilege and save her clockwork friend. The Falling Machine (The Society of Steam, Book One) takes place in a Victorian New York powered by the discovery of Fortified Steam, a substance that allows ordinary men to wield extraordinary abilities and grants powers that can corrupt gentlemen of great moral strength. The secret behind this amazing substance is something that wicked brutes will gladly kill for and one that Sarah must try and protect, no matter what the cost. It’s hard for me to grasp just what Andrew P. Mayer is trying to do in his 1880’s Society of Steam debut, The Falling Machine. Mayer sets his book in New York City during the Gilded Age. The book, first of a trilogy, appears to be a fable or a parable about the transition of power, or the dangers of privilege, or something. I can’t quite tell what. I can’t tell who I am supposed to cheer for, or, really, why I should care about the travails of the Paragons, a group of aging, costumed crime-fighters. Set in New York during the Gilded Age, Hearts of Smoke and Steam is Andrew P. Mayer’s second book in the Society of Steam series. It is extremely difficult to follow if you haven’t read The Falling Machine, which introduced these characters and their conflicts. This book continues the problem I had with the first book: an interesting premise is undercut by awkward storytelling. I think this novel is about a transition of power from a stagnant, older generation to a young, vibrant and dynamic one. That’s what I think. Setting that story in 1880s New York City, a time and place of shocking contrasts and excesses, is a fascinating idea. It’s all the more disappointing, therefore, when characters are not plausible or well-developed, or the structure of the book swamps the story.